Bernstein Claims to Reveal the 'Real' Hillary In his new biography of Sen. Hillary Clinton, writer Carl Bernstein claims to cut through what he calls the "self-generated myth" about the presidential candidate. 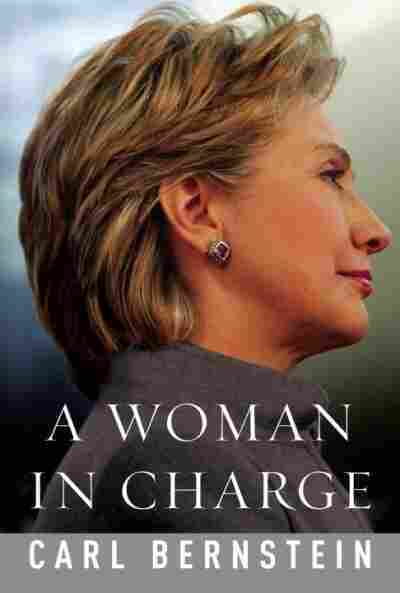 Bernstein talks about the details of his new book, A Woman in Charge: The Life of Hillary Rodham Clinton. Sen. Hillary Clinton has called herself the most famous person that nobody really knows. Carl Bernstein would agree. "What she didn't add," Bernstein says, "is that she's tried to make it that way." Bernstein, whose reporting on the Watergate scandal helped earn The Washington Post a Pulitzer in 1973, claims to offer a "real biography" of the New York Democrat with his latest book, A Woman in Charge. The book spans much of the former first lady's life, from childhood to the announcement of her presidential candidacy. Clinton did not grant any interviews to Bernstein for the book, but he says "it wouldn't have made much difference" in the final product. 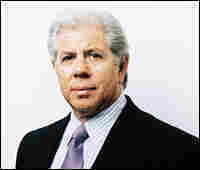 Instead, Bernstein relied on on-the-record interviews with people who have known Clinton, including Webb Hubbell (a Clinton associate and prominent figure in the Whitewater scandal), Betsy Wright (chief of staff during Bill Clinton's governorship of Arkansas) and Donna Shalala (former secretary of Health and Human Services). Bernstein describes a less rosy picture of Clinton's childhood than she has suggested in the past, claiming that Clinton's father was an unhappy and abusive man. And Shalala reveals that she was opposed to Clinton's heading the Presidential Task Force on National Health Care Reform during Bill Clinton's first term in office. "There has been so much mythology and self-generated myth [about Hillary Clinton]," Bernstein says. Now I think we have a very shaded, nuanced, complex picture of the whole person." Hillary's momentous political journey with Bill began in earnest in Sara Ehrman's Volkswagen a week after Richard Nixon and his long-suffering wife, Pat, left the White House for exile in San Clemente, California. Hillary would never forget the experience of that first lady, and her wifely passivity at the trauma her husband put her through. For the next uneasy twelve months, Hillary, now twenty-six, would vacillate about whether to marry Bill. Ehrman, who had been an important source of wisdom and encouragement in her life since their summer together in Texas, was deeply disappointed by Hillary's decision to leave the capital for Arkansas. To her, Hillary was the "brilliant and dazzling" embodiment of the women's movement and all its promise, and she tried mightily to persuade her not to surrender a limitless future in Washington for a man-even Bill Clinton, whom she knew-and become an assistant professor at a "hillbilly" law school. "You are crazy," Ehrman told her at one point, and asked why she would do something so out of character. Hillary, of course, was deeply ambivalent, "at sea about whether she wanted to move to Arkansas," according to one of their mutual friends, torn about "how hard to be, how careerist to be," for this was 1974, and she was hardly unaffected by the feminist movement. Ehrman asked incredulously, "Why on earth would you throw away your future?" The Democrats in Washington looked ascendant and principled. The country seemed on the verge of a new age of reform. By virtue of Hillary's role in the most important investigation in Washington since the Army-McCarthy hearings in the 1950s, she was now at the top of the heap of America's young, public-service-minded lawyers, with an undimmed opportunity (or so Ehrman thought) to take a seat at any of Washington's or New York's top law firms, leading to a partnership. And though Ehrman regarded Hillary almost as a daughter, and as "a poster child of a liberated woman," she also knew from the incessant phone calls between Hillary and Bill that they were deeply in love. Unsuccessful at persuading Hillary to stay in Washington, Sara had finally offered to drive Hillary to Arkansas, with another friend, Alan Stone, who was a native of the state. Hillary packed her books, stereo, and clothes into Ehrman's Volkswagen and they headed south. Her bicycle, which she had barely had a chance to ride in Washington, was strapped to the roof. When they crossed the Potomac that humid August morning, its banks were ablaze in yellow and red blossoms, Lady Bird Johnson's lasting floral bequest to the nation before she and her husband had left the capital, disillusioned, with the country mired in an unwinnable war. Hillary's final glance back was of Memorial Bridge and Lincoln's marbled temple from the Arlington Heights, after which they drove through the Virginia countryside, past Middleburg, Warrenton, Culpeper, and into the Shenandoah Mountains, then down to Charlottesville. Hillary was in a hurry to get to Fayetteville, excited at the prospect of seeing Bill, but Ehrman stopped at Monticello, the home of Thomas Jefferson, and detoured to other historical sites as she renewed her campaign to persuade Hillary to turn around. "Are you sure?" Sara kept asking. "No, but I'm going anyway." Hillary was sure only that she loved Bill and wanted to take a chance. "My friends and family thought I had lost my mind. I was a little bit concerned about that as well," she said later. Fayetteville seemed even farther away from Washington than the 1,225 miles between. When they finally reached the University of Arkansas campus, a rally was underway for the Razorbacks football team. The whole town had turned out, thousands upon thousands of fans wearing pig hats and yelling Sou-ee, sou-ee, pig, pig, pig. "I was just appalled," Sara recalled. The following day, however, when she and Hillary went to see Bill speak at a campaign stop, Sara recognized immediately those magnetic attributes that had pulled Hillary across the mountains. Sara could see now, for the first time, something else: that Hillary was not being preposterous when she said that this young man, only twenty-eight years old and seeking his first public office, might someday be president of the United States. And for the first time, Sara sensed that Hillary had given a lot of thought about how she could become something approaching an equal partner in the venture. From A Woman in Charge by Carl Bernstein Copyright (c) 2007 by Carl Bernstein, used with permission of Knopf, a division of Random House, Inc. All rights reserved. No part of this excerpt may be reproduced or reprinted without permission in writing from the publisher.